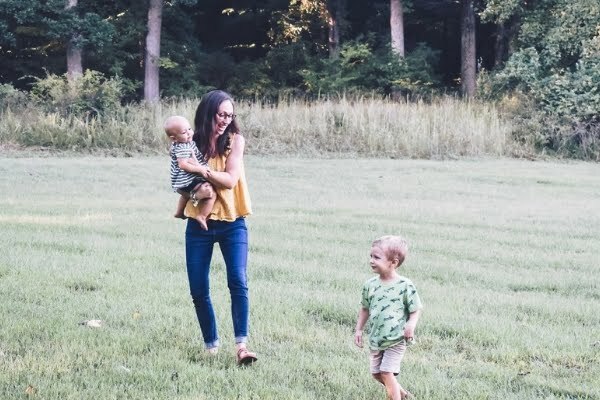 Last summer, I shared 4 ways to grow your faith during the day, even on the busiest of days. This sort of goes along with that, as I am trying to keep God's Word at the forefront of my mind. // It helps me memorize verses. If it's always up and visible, I'll be able to look at it consistently during the day or at night and will be able to memorize it faster. Why put your memory verse on a small index card that might get lost? // It's a conversation starter. 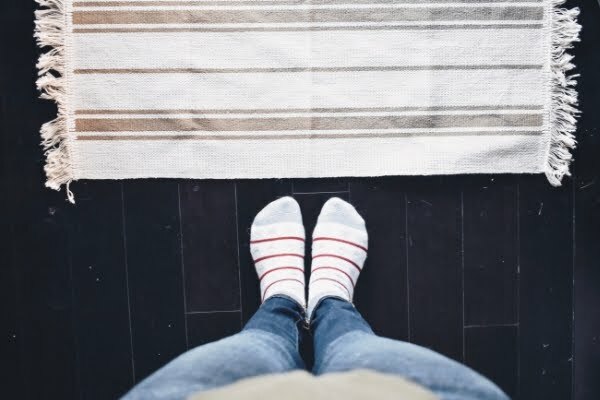 Whether people believe in God or not, I bet the verses you hang on your walls & set out on your coffee tables are meaningful to you and when someone asks about it, you'll get to explain what God's doing in your life. // It shows the priority you've put on God's Word. What the Bible says is so important to me that I've chosen to give it prominence in my house. // Wall art...like from Wild Cedar Co., obviously 😉 . 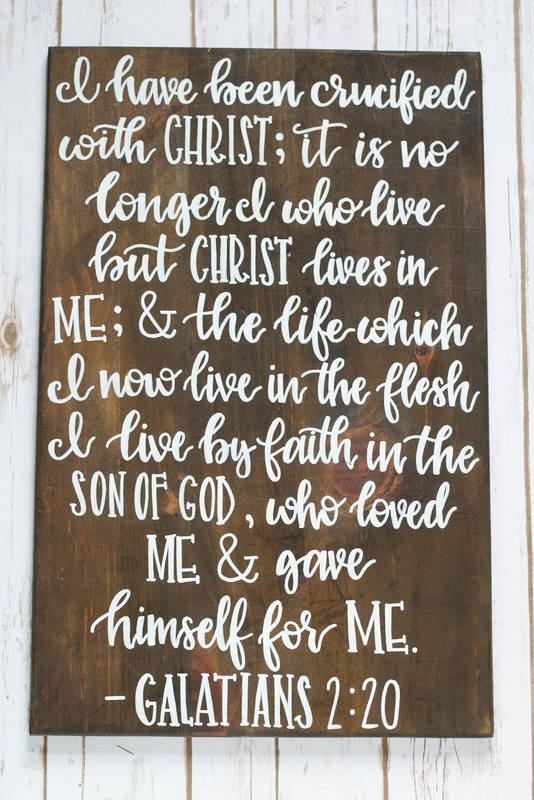 The Etsy shop I started with my friend Courtney offers Bible verses lettered on wooden signs, along with other signs inspired by our faith in Christ. 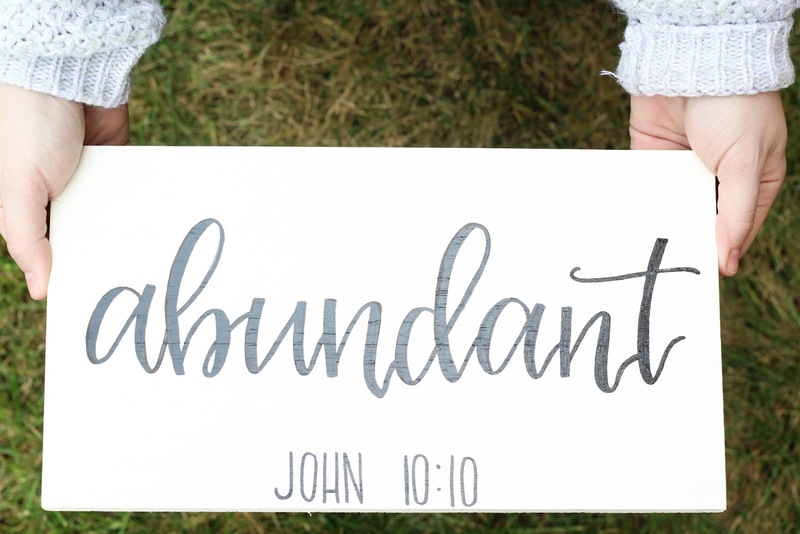 Though we are sold out of lots of our Bible verse signs, we still have this Abundant sign from John 10:10 and this dark-stained round from Colossians 3:2. // Printables. 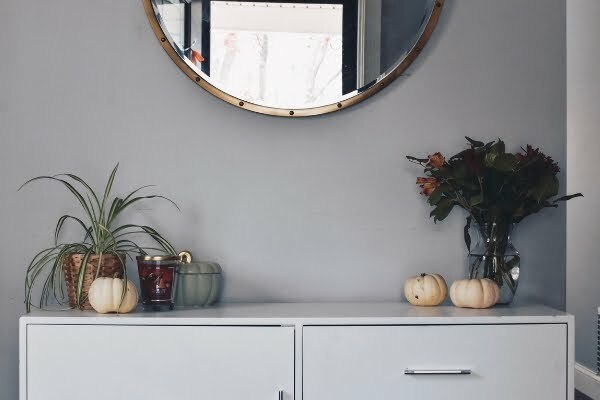 I've shared some free printables of verses (like these minimalist ones and other fall-themed ones). 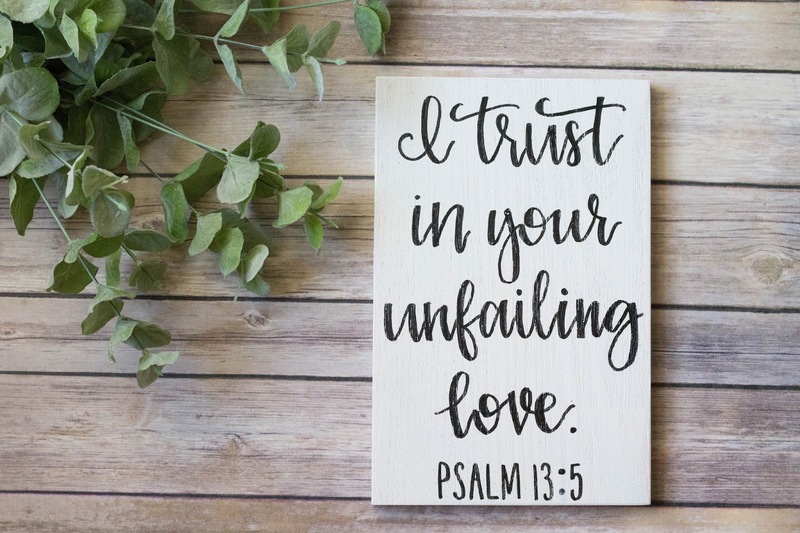 My blog friend Sally has this cute printable up in her Etsy shop for only $4! // Other ideas: these diy coasters, lettering a canvas from a craft store, or diy fridge magnets. 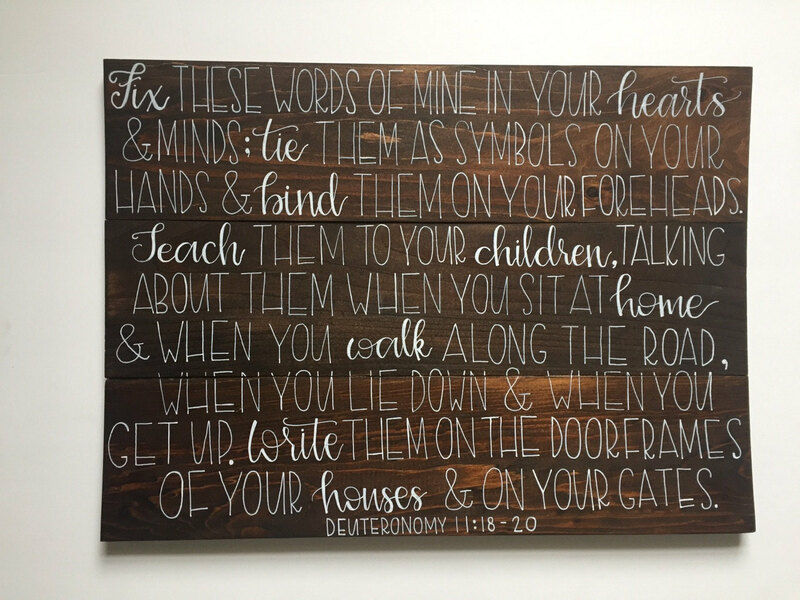 What are some of your favorite verses you'd decorate with?